Scott Barney of Oshawa, ON has parted company with BK Mladá Boleslav and will return to the Finnish SM-liiga, reports the club's website. He will join club HPK Hameenliina. The 31-year-old centre and right winger signed with Boleslav back on November 21 and made his debut with the club five days later. He scored that night in a 4-1 loss to Vítkovice Steel and picked up an assist in his second game, a 3-2 loss to Slavia Praha. In the 11 games since then, however, Barney registered only 1 goal and 1 assist, while the club struggled along in the league basement. Barney becomes the second Canadian player to leave the Boleslav club this season. Duncan Milroy of Edmonton, AB started the season with the team, but left in November to join the Krefeld Penguins of the German DEL. Defenceman Darrell Hay of Kamloops, BC has played on the club all season. The son of former NHL coach Don Hay has played in all 42 of his team's games this season, and has 5 goals and 13 assists. 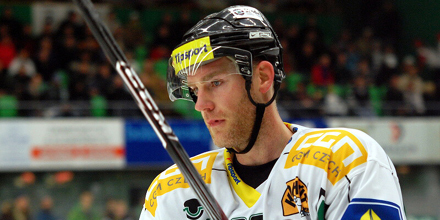 Barney started the season in the SM-liiga, playing 21 games for SaiPa Lappeenranta before being released from the club after he was arrested for driving while impaired. It's been a trying season for BK Mlada Boleslav. After getting off to a decent start and sitting in a playoff position in mid November, they were stripped of 22 points by the league for improperly registering three of their players. The club's appeal is still pending. Additionally, they faced banishment from the Extraliga when they were accused of falsifying documents relating to the club's financial status in December, but it was eventually ruled that the discrepancies were not malicious, and they faced only a fine. It appears unlikely they will climb out of the basement before the end of the season, which would mean that they will have to defend their position in the top league in a best-of-seven series against the First League champions.